London has reached desperately cold temperatures recently and unless you wrap yourself up in endless amounts of layers you are going to freeze. This makes dressing up in anything other than trousers and jumpers seem like a totally crazy idea. However, crazy ideas aside, Baukjen kindly gifted me a simple and sophisticated shift dress that I couldn't resist but to try on and dress up with my winter essentials. The dress fits beautifully and is decorated with a bronze zip that runs down the front. 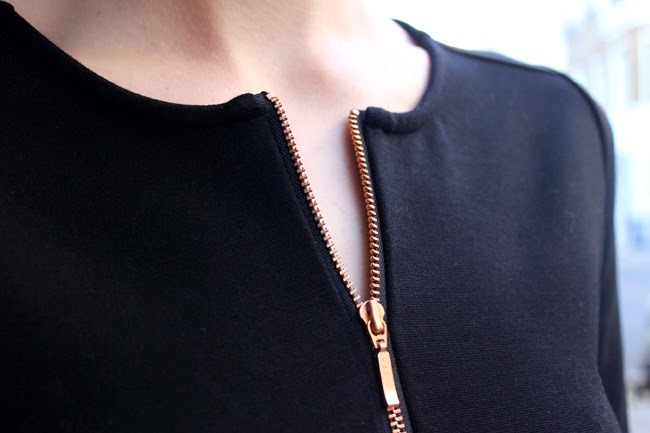 Being a magpie, I instantly fell in love with the elegance this zip added to the dress and I just love the fact that you can alter the opening of the zip making it the ultimate day to night dress. I paired the dress with lace tights, gold capped heels, sequin clutch bag and a super fluffy leopard print coat. 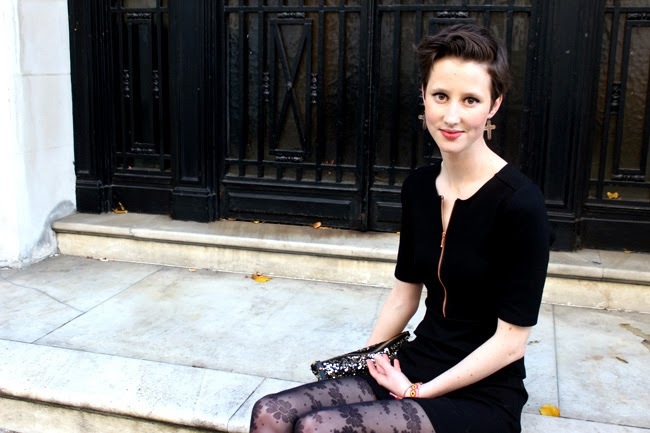 It is the ultimate LBD. Dress - Baukjen, Tights - Accessorize, Shoes - Zara, Bag - H&M, Coat - Primark. Wow this is such a beautiful look! I love your coat, you look so chic!